We gals love flaunting our ethnic wear with traditonal jewellery and footwear. No matter what is the fashion trend ethnic wear will never be out of fashion, be it a Saree, Anarkali, Salwar kameez or even the newest trend Kurtis and Kurtas. Today's post is about on such traditonal clothing line Cultured Clothing. 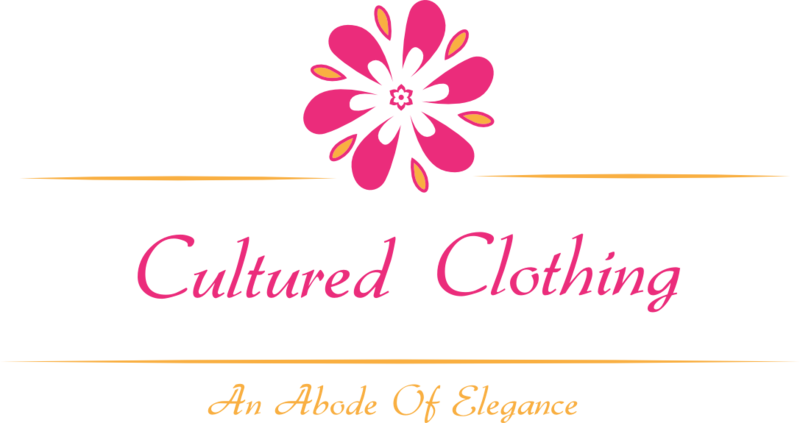 Cultured Clothing was launched out of passion for beautiful clothing, a boutique for exclusive dress materials and Kurtis. The venture was named Cultured Clothing as it represents the essence of our culture. 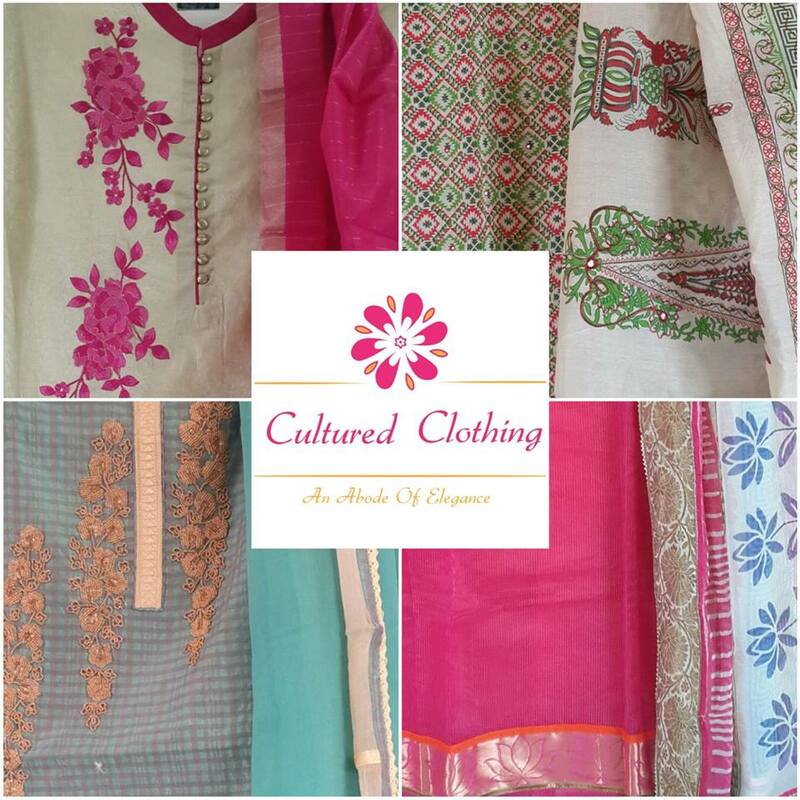 This reflection of our culture has lit up an abode of exclusive, designer, casual wear women's clothing. 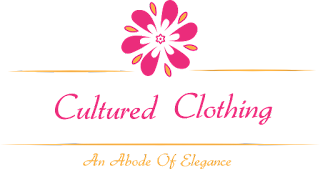 Cultured Clothing was started with a small thought of 3 friends to lit up each and every woman’s wardrobe with elegance. A small wish to give every woman a different yet classy fabric. At Cultured Clothing the main focus is on showcasing a variety of fabrics including pure silks, chiffons, cottons, exclusive chanderi’s, embroidered fabrics, georgettes. Their one of it's kind collection includes traditional embroideries, cut works, phulkari, maaheshwari, patola, shimmers, zardozi, pearl work, mix-n-matches and a long list of new upcoming patterns. 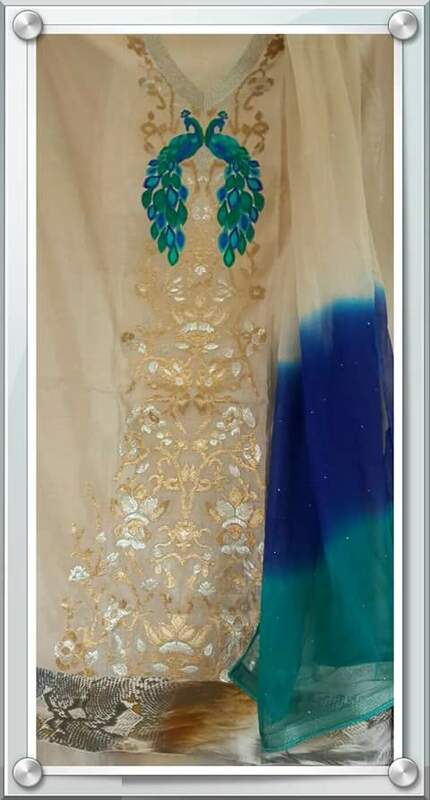 At Cultured Clothing they believe that dupatta is like a soul of any dress material and so they takecare that their chunnis not only accompany the fabric, but also add class and flair to it. 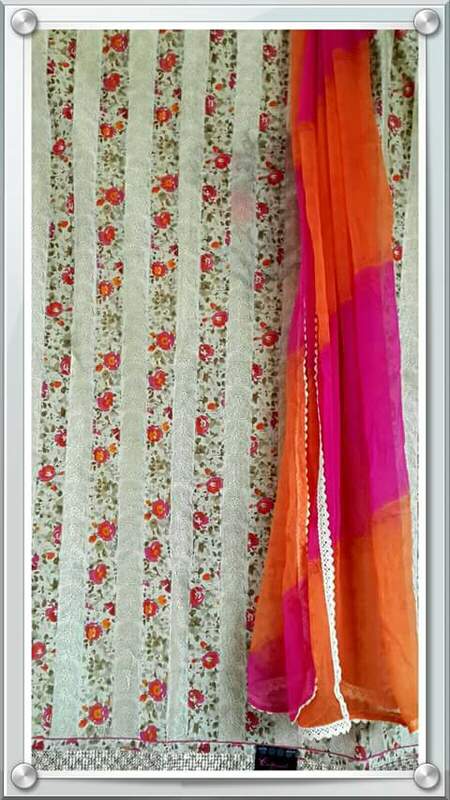 Chunnis with woollen work, soft pure chiffon dupattas, pure chanderi chunnis with golden strings, cute simple yet different dupattas are just a few to name from their long list. Their handpicked designer fabrics and classy patterns will surely glitter all the occasions, marriages, parties and events in your sweet life. They understand that casual wear takes up the centre stage in female’s fashion journey. May it be a college going gal, a house wife or a working women, Cultured Clothing can always be your best friend to provide clothes that can be wore casually and yet make a style statement. They are rapidly growing with each and every client and this small abode has already brought a smile to hundreds of gals and women with our clothing. Pune – 411004, Maharshtra, India. 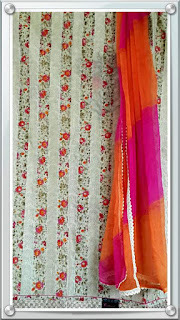 Do you know any other venture of exclusive ethnic wear. Drop me a comment below. Fellow bloggers leave your latest post for me to checkout. NB -Image courtesy Cultured Clothing. Subject to copyright.